BERLIN, Germany -- The last time the German national team welcomed supporters to an open training session, it had just won the World Cup in Brazil. 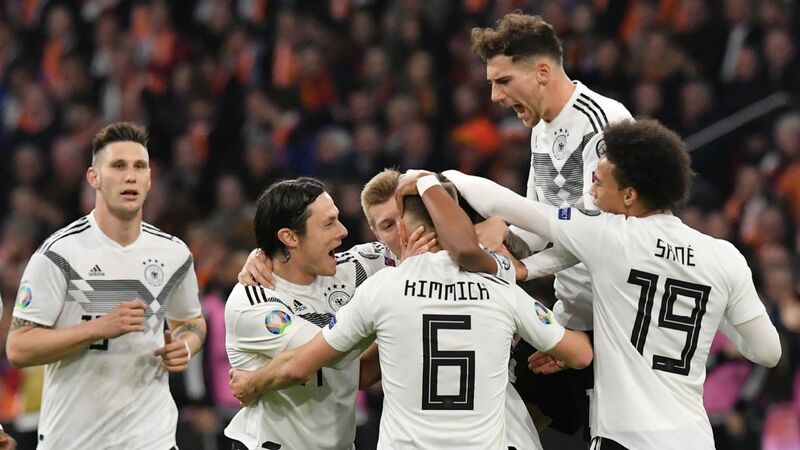 Four years later, Joachim Low and his men are anxious to avoid relegation in the Nations League after a 0-0 draw in their opening match at home to France. But that rather embarrassing sporting demise didn't seem to dampen the enthusiasm in the German capital on Tuesday. Five thousand people turned up at Hertha BSC's Amateurstadion to loudly cheer the Nationalmannschaft's every shot and pass. Afterward, players signed shirts and posed for selfies. The World Cup post-mortem this summer identified a need to reconnect with the fan base. Judging by the positive response in Berlin, the public enjoyed the close-up so much that the poor results in Russia and the FA's poor handling of the Mesut Ozil affair were all but forgotten. The real beneficiaries of the exercise were some of Low's most trusted men, however. 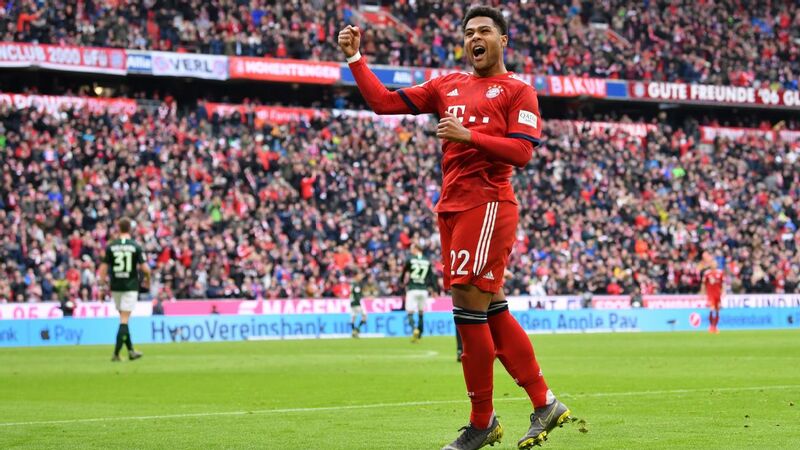 For the Bayern Munich contingent of Manuel Neuer, Thomas Muller, Mats Hummels, Jerome Boateng, Joshua Kimmich and Serge Gnabry, the mass adulation made for a nice change from the crisis engulfing Sabener Strasse after four games without a win. They visibly relished the smiles and pats on the back; so too did Toni Kroos, who is experiencing similar troubles in Madrid. Low naturally made light of his regulars' travails back home. They were "experienced enough to deal with the situation and to show a completely different performance within the space of a week," the 58-year-old claimed. But the sheer number of stalwarts struggling to get even close to previous levels is unprecedented in the Bundestrainer's 12-year reign. He has never had so many of his key men playing this poorly for their clubs. The malaise extends to fringe players such as Julian Draxler (Paris Saint-Germain) and Leroy Sane (Manchester City), who have featured only intermittently in their respective leagues so far this season. To make matters worse still, the two outstanding German performers in the current Bundesliga season have both withdrawn from the squad due to injury. Borussia Dortmund captain Marco Reus (six goals, six assists in all competitions) and Ozil's heir apparent, 19-year-old Kai Havertz of Bayer Leverkusen (four goals, three assists) would have brought a much-needed sense of swagger to the dressing room. 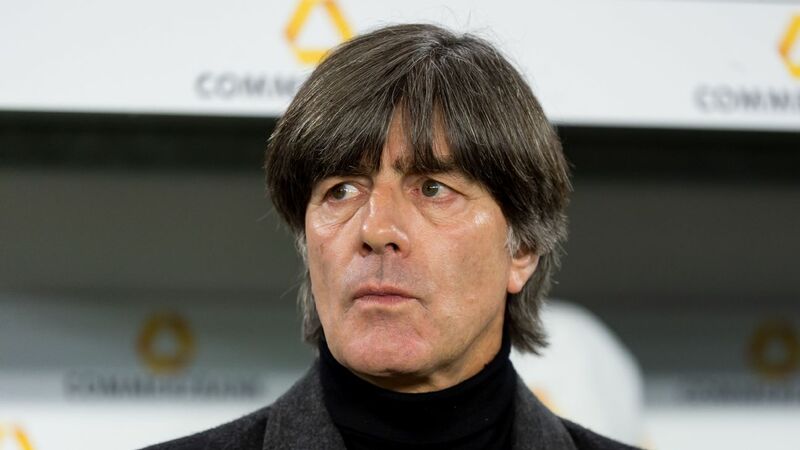 Joachim Low and Germany are enjoying their warm welcome from fans who are finally over World Cup failure. The national team needs support amid a tricky spell. Until their disaster in Russia, the core strength of Low's side was being able to offset weaknesses in specific problem positions. Now that the centre is creaking, though, there's a clear danger that Germany's by now traditional shortcomings will become more pronounced. Kimmich's "promotion" to the holding midfielder role might relieve the pressure on the unsettled Hummels-Boateng partnership, but it has also left a qualitative gap on the right side of defence that Matthias Ginter (Borussia Monchengladbach) can't adequately fill. The predicament on the left isn't much smaller. FC Koln's Jonas Hector is set to come in from the depths of Bundesliga 2, swapping last Friday's opponents MSV Duisburg for the likes of Memphis Depay (Netherlands) and Kylian Mbappe (France) over the next week. Antonio Rudiger (Chelsea), his unadventurous but competent stand-in against France last month, is not available because of a groin complaint. Overall, the lack of first-class options will be once again most telling in attack. Timo Werner (Leipzig), Gnabry and Sane offer plenty of pace going forward, but they're all happiest playing off a real centre-forward. With debutante Mark Uth, last season's second-best German goal scorer in the league (14 goals) after Muller, Low has called up a striker whose good link-up play and expert finishing could do wonders for the side, but he too hasn't exactly joined up with the rest of the squad in Berlin's boutique Das Stue hotel on a high: The 27-year-old has yet to find the target following his free transfer from TSG Hoffenheim to Schalke 04 at the beginning of the season. "A dream has come true for me," he declared, unperturbed. Cologne-born Uth is a classic late bloomer, having failed to break into the first team at 1. FC Koln as a youngster. Written off by many coaches, he left his hometown in pursuit of a professional career in the Eredivisie. Success proved just as hard to find there: After a frustrating season spent in the reserves for SC Heerenveen (then coached by Marco van Basten), he was sent on loan to Heracles Almelo and went more than 1,000 minutes without scoring. Then, all of a sudden, the goals came. Two more decent years at Heerenveen (28 goals, 12 assists in 79 league games) earned him a move to TSG Hoffenheim, where he blossomed under the tutelage of Julian Nagelsmann. 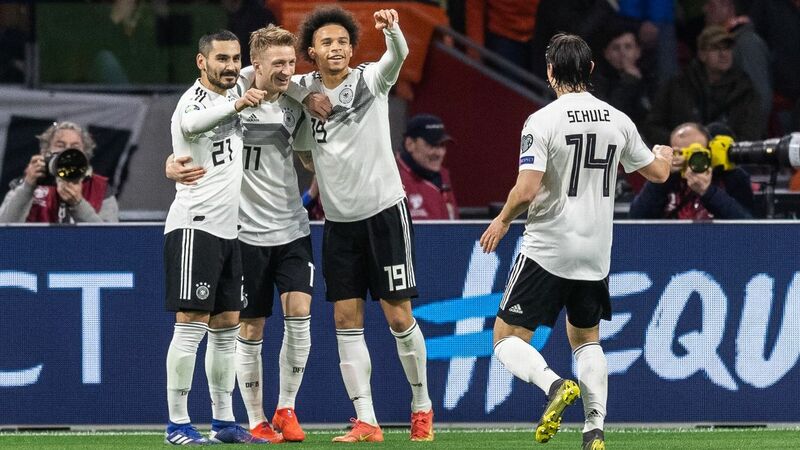 A return to the Netherlands wearing the Germany shirt for the game on Friday would take Uth full-circle and provide the best possible opportunity for him to open his account for the season. Meanwhile, his more prominent teammates must prove that their domestic debacles are merely blips rather than a sign of things to come. In Munich, performances were so poor last week that many wondered whether the spine of the national team was a little past it. Low is all too aware that his Germany encountered the same suspicions four months ago. "We are under special observation and special pressure," he admitted yesterday.